This is my first one-night dabble with AngularJS. 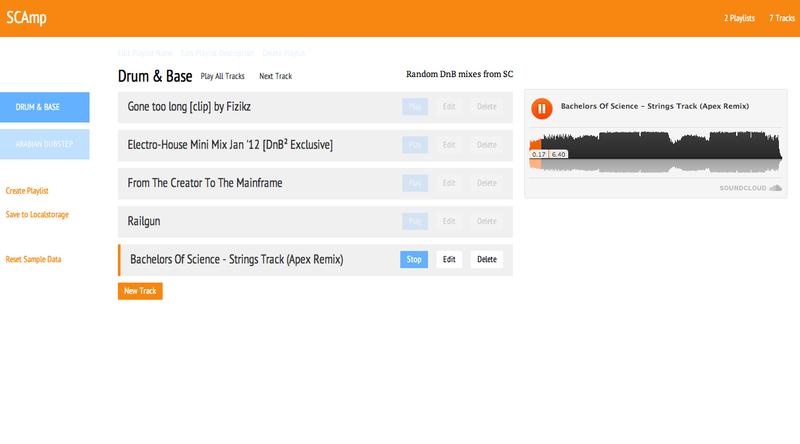 SCAmp is a full client-side based SoundCloud Playlist Manager (As you may have figured, the name is inspired from SoundCloud + WinAmp). PresentationTimetable.js is a jQuery plugin that syncs SpeakerDeck presentations with YouTube videos using a time/slide table. More information on how to use PTT available on Github Repo. PresentationTimetable is released under the MIT License.